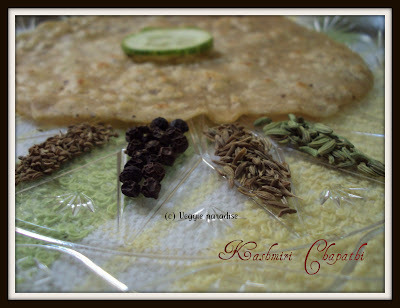 Chapathi with spices, sounds healthy and tasty. I found this recipe from my cook book and would love to share with you all. Give a slight change from ur usual chapathi's and give a try!!!! In a pan, fry all the seeds slightly and grind them. In a bowl , mix this grinded powder with wheat flour adding milk and water.Knead it well until it forms into a soft dough. Take a lemon sized ball from the dough, dust it in flour and roll them into a flat and round shaped one. Heat the tawa, place the rolled chapathi and apply ghee on its sides. oh wow, that is really a healthy and looking yummy dear..
Aruna, kashmiri chappathi is so yummy..I'm bookmarking this..thank you dear. Simple but sweet. I liked the presentation. Looks good Aruna..Chappthi with spices sounds yummy!! First time heard bout kashmiri chapati...spicy. 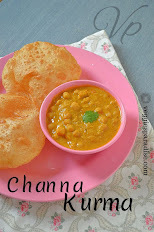 Nice different chapathi, i will try some time. Very interesting chapathi Aruna, looks inviting ! 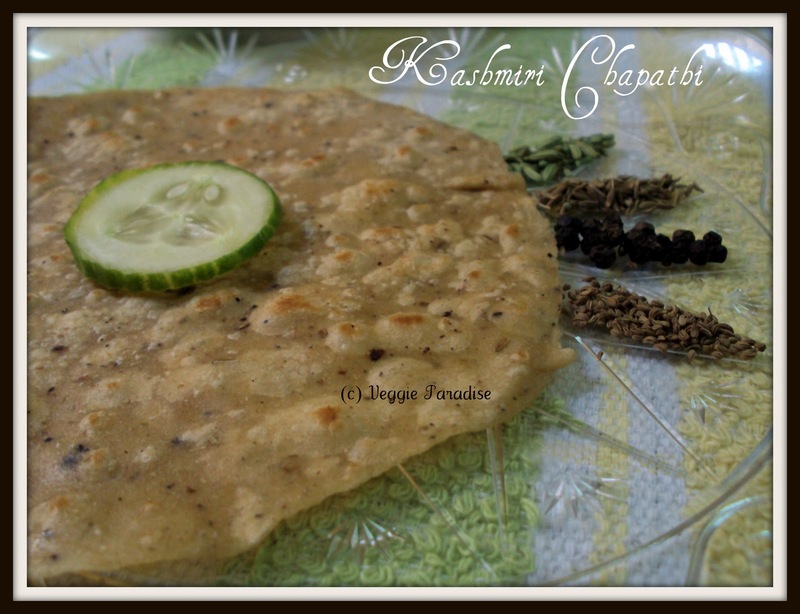 Kashmiri chapathi looks delicious and healthy. wow thats a nice spicy chapathi.. interesting recipe..
Wow, interestingc variation to the usual one' like the twist of ajwain and stuff. first time here...love the space..u have wonderful collections of recipes..these chapathi looks different and delicious...thanks for sharing this! looking delicious..we add cumin and ajwain (carom seeds ) but adding pepper is very new to me..thnx for sharing dear...will surely add pepper next time..
Nice recipe! Love these spicy and tasty chapatis..
wow!a tasty variation!Kneading with milk makes it all more soft and yum!want to give it a try! wow loved de twist....especially aniseed. Kalakkal Kashmiri Chappathi super...Wounderful presentation! i am all in for this spicy chapathi. nice recipe..
looka very new yunny flavoured chappathi. This sure will be a change from the regular chapatis.. will give this a try, sounds good!! 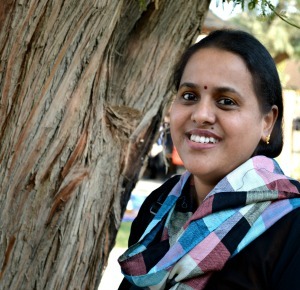 Very beautiful and flavourful chappathis Aruna.. Somehow I always associated Kashmiri with all dry fruits in the recipe :( this one is so differently delicious. So flavorful and different ...Nice presentation. I'm bookmarking this..